Beautiful eyes connect us to one another emotionally. They express our feelings and emotions and attract others to us. Our eyes speak in a language all their own. Eyeliner is an important element in how our eyes express themselves. Eyeliner frames the eyes and gives them shape. Eyeliner creates a contrast in color by making the whites look brighter and by making the color of the eyes more vivid. 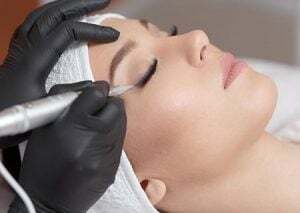 Permanent Makeup Eyeliners, that never rub off, smear, smudge or disappear after hours, provide a look of more open, younger and less tired eyes. This is a time and money saving technique that also prevents eye irritation caused by eyeliner pencil hitting your eye; reduces stretching of the delicate skin around the eyes; and prevents discomfort for contact lens wearers and for people allergic to conventional makeup. You needn’t worry about crooked lines, messy pencils or runny liquid liners. Our certified professional technicians will use the latest technology devices, procedures and hand pieces to implant highly concentrated non-allergenic, vegan friendly pigments, made in Germany, to the upper and/or lower lashes. Whether you want a soft natural looking shade or more bold coloring, we can define the lines to fit your preference. Popular with both male and female clients, Permanent Makeup Eyeliners provide a subtle natural look, mimicking thousands of tiny eyelashes by implanting pigments in the lash line.